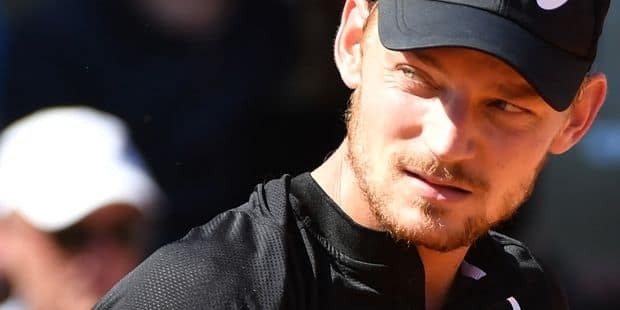 David Goffin was eliminated in the second round (16th round) of the Masters 1000 Monte Carlo, a 5.207.405-euro clay tennis tournament, on Wednesday. Goffin, 28, 21nd in the world, and N.16 in the Reichstag, lost 6-3, 6-4 of Serbian Dušan Lajovic (ATP 48), 28. The meeting lasted 1 hour and 29 minutes. Goffin won the only previous clash between two players, in Paris, 2015, on a hard stand. The match, played at the Prvaci Court, started very badly for Belgian N.1, who lost from the start of his service led by 2-0. On his next faceoff, Goffin had to save four balls and returned to 3-1. Lajovic did not allow the next leg to pass and flew to 5-1. Goffin managed to get his first break back to 5-2, then to 5-3. Lajovic took the first 6-3 in 43rd minute. Goffin started much better in the second set, getting his opponent's service at 0-2. But Lajović was able to bypass the counterattack. Lajovic then took on Goff's service (3-2). Liégeois missed two breakpoints, which would allow him to return to equality. Instead, Lajovic fled and kept his advantage until the end. The Serb beat 6-4. In the eighth finals, Lajovic will face Austrian Dominica Thiem (ATP 5 / N.4), winner 6-1, 6-4 from Slovakia's Martina Klizan (ATP 50). David Goffin, who came last year to the quarterfinals of the Monegasque tournament, started his season at Monte Carlo after being eliminated in the Osaka finals in Miami last March. On Tuesday he was eliminated in the first round of the pair, where he was linked to French Lucas Pouille. The Belgian-French couple lost 7-5, 6-2 for Brazilian Marcela Demolinier and Russian Daniil Medvedev. Who Wants To Monetize? come back every day at TF1!